Whether you're with an old high school friend who's hellbent on partying or a buddy who wants to celebrate the Cubs’ World Series victory before, during, and after the season, at some point, you're likely to find yourself, possibly against your will, in Wrigleyville. As you tread through what can often be a sea of short-fused meatheads and $7 beer "specials," know that there is some light at the end of the tunnel. There are, in fact, several bars around Wrigley that are decidedly not fratty. Here are the best (though we can’t guarantee they’ll be free of Cardinals fans). 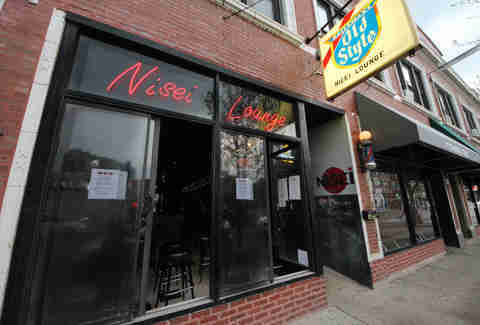 Nisei (pronounced “knee-say”) has been open since 1951, and just like wine, whiskey, and other dive bars, it's aged well. 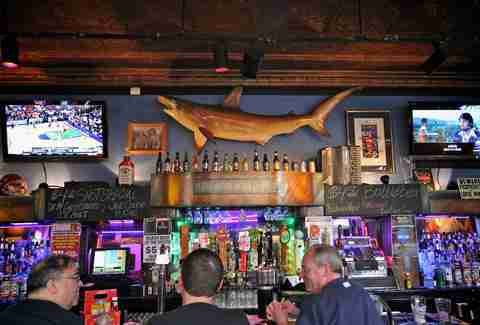 This Malort haven has a dartboard you can actually play darts on, and a bar that you can manage to order a drink at on a crowded Saturday night without fear of walking into a mist of body spray. 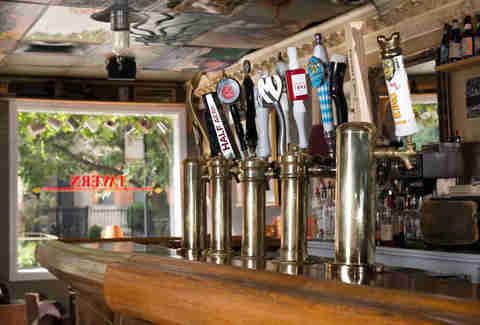 Owned and operated by The Metro’s Joe Shanahan, GMan Tavern is an eclectic oasis in a desert of douche. 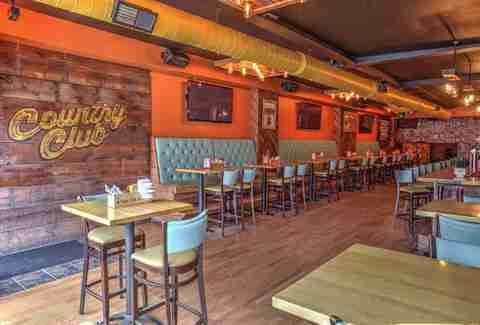 The atmosphere is laid back, the staff is friendly, and the old-school jukebox is well-stocked, so you can hear some Springsteen instead of listening to Eric Church sing about listening to Springsteen. The sandwiches here are so huge, that everyone is too full to dance on top of the tables. Escaping the train-wrecks on Clark St and heading into Lucky’s is a little like falling through Platform Nine and Three-Quarters, only instead of finding the train to Hogwarts, you find easy-drinking beers and a magical sandwich stuffed with slaw, fries, and all sorts of hot meats. Well off the bro-levard on Addison, Guthrie’s has a prime selection of 75 craft brews, ranging from locals at Spiteful Brewing to beers brewed by Trappist monks. There’s also an impressive wall of board games (drinking + Jenga! ), and ceiling tiles with some very weird paintings. 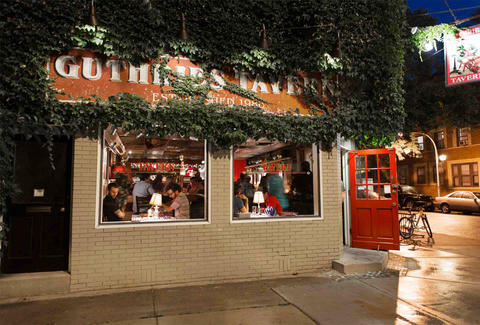 Even though it's just a 10 minute walk from Wrigley Field, L & L Tavern feels like it’s miles away. 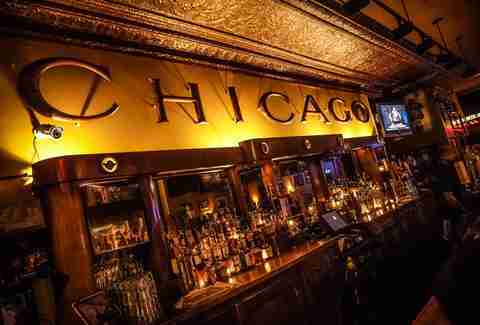 If you love Irish whiskey and hate bright lights, this place is for you. 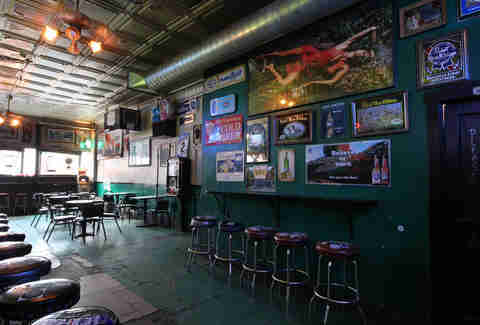 Back when it was the Columbia Tavern, the bar was reportedly a haunt for Jeffrey Dahmer and John Wayne Gacy. But hey, it’s better than having to drink next to the country bros at Houndstooth, right? Toons Bar is far enough away from Wrigley to not be crazy, but close enough that you can stumble in for a delicious crawfish boil after having one too many overpriced beers at the stadium. It’s generally fairly empty around lunchtime, and features both shuffleboard and pool tables. As an added bonus, you won’t even have to fight a liquored-up bro to use them (probably). If you want to stick to the main Clark St strip, you’re going to have to resign yourself to dealing with the rowdy crowds of Blatz chuggers and Jameson pounders. That’s just a fact of life here. Sheffield’s is certainly no oasis from this activity, but it’s big enough that you’ll at least be able to maintain your personal bubble. It also has one of the widest beer selections in the area -- if you don’t see your favorite brew on tap, it’s likely available at one of the other bajillion bar areas contained within the space. OK, sure, it’s not technically Wrigleyville. But come on, it’s open late, it has a full bar, and it makes a pretty decent grilled cheese. Sure, it's a bit of a hike from the stadium, but it's not that much further than L&L Tavern. And they usually have multiple bartenders on staff so you’re never waiting that long for your drink. El Jardin might have one of the best outdoor patio areas in all of Wrigleyville. It’s big-but-not-huge and separated from the riff raff on Clark by a wall specifically designed to evoke images of Mexican architecture. You can almost forget that you’re a block away from somebody puking on the sidewalk! As an added bonus, unlike pretty much everywhere else in the area that serves margaritas, El Jardin’s are actually pretty freaking strong. 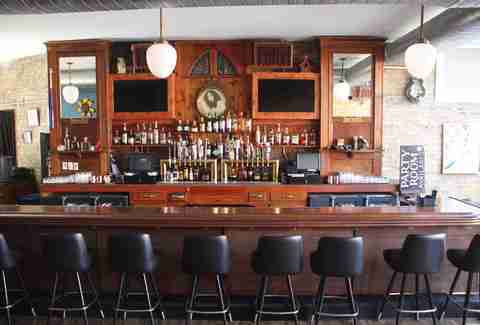 For bars on Clark in Wrigleyville, this place is a breath of fresh air. It's not overly clubby, it's not trying to be something it isn't, it's just… well, it’s what it says over the door. Since its name change and re-branding, The Country Club has stood in stark contrast to nearby dance venues that are oddly snooty and perpetually full of leery trust fund bros in checked long sleeve shirts. It sell beers in 24oz cans at a fair price, there’s dancing, there’s country music, and it’s all inviting and nonjudgmental. Brian McGovern is a freelance writer and comedian. He almost always wears pants. Follow him @brianmcgo. Sam Greszes is a Lakeview-based writer who routinely embarrasses himself in the slow-pitch cages at Slugggers. You can follow him on Twitter @SamGreszeseses, or on Twitch at RobotsFightingDinosaurs.